Last week I gave a presentation to the Entrepreneurial Development Group where I announced, for the first time, some new initiatives at 33 Dimensions. In addition to our staples, Web Design and Development, we will soon be offering Inbound Marketing, Content Creation, General Publishing, and Ecommerce services for our current and future customers. We strive to empower small businesses by offering the tools to attract new visitors and delight current ones through the latest tried and true methods. Stay tuned for more on these exciting new ventures. We’d like to congratulate Cornerstone Coffeehouse on winning Harrisburg Magazine’s “Simply the Best” award for an amazing 16th consecutive year. The 2014 award was announced earlier this week and continues a successive streak which began in 1999, This award follows the “Best of Harrisburg” award that Cornerstone received from Susquehanna Style magazine earlier this summer. The big news of today is the Grand Opening of Amore Artisan Gelato & Yogurt on Union Deposit Road in Harrisburg. Started by Robin and Len Dobson of Middletown, Amore is the Harrisburg area’s first artisan gelato café and offers 12 varieties of gelato and sorbet made fresh each day from more than 100 rotating flavors, as well as 18 combinations of frozen yogurt and other fine desserts and beverages. Whether starting from scratch or adding features to an existing website, 33 Dimensions will provide you with a professional and effective design that is highly functional, informative, and accessible. We also offer many related services to help promote your website and your business and will customize an affordable solution for you. 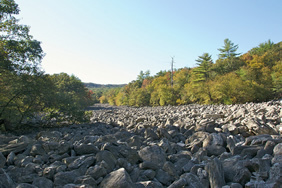 Check out our Online Portfolio and you will see that there is no job too complex or too small for us to handle for you. Feel free to give me a call at (717) 829-4221 or email me ric@33dimensions.com and I will personally negotiate a great deal to fulfill your online needs. 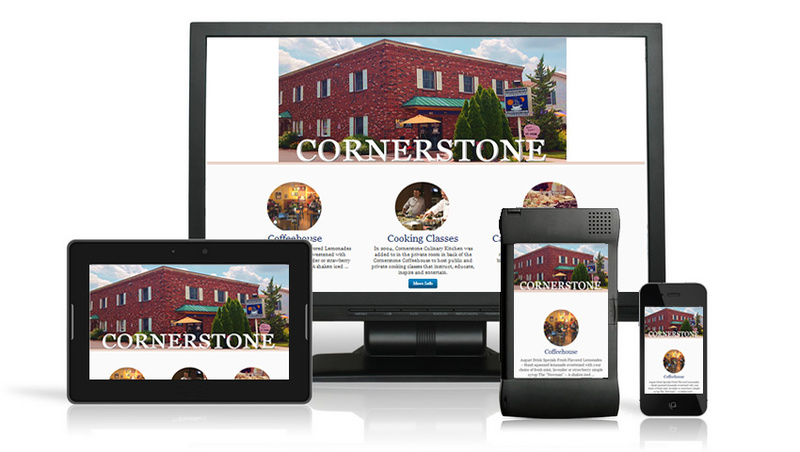 33 Dimensions has redesigned the website for Cornerstone Coffeehouse in Camp Hill, PA, making the site fully responsive and offering a better overall user experience. The design starts with a simple landing page, which displays the three main services offered by Cornerstone – Coffeehouse, Culinary Kitchen, and Catering. The coffeehouse option leads to a WordPress site with a multi-level drop down to navigate to all the various store menus, blogs, music, art, and calendar of events at the popular establishment. 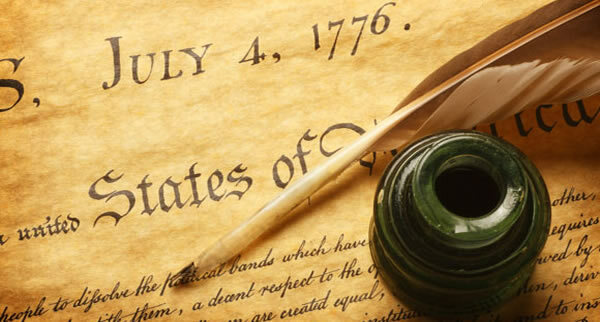 As a writer and appreciator of great philosophy, I am constantly amazed by these three dozen words which lead off the Declaration of Independence. In this succinct passage written 238 years ago, Thomas Jefferson summed up the essence of freedom which has not been articulated so beautifully or accurately since. Have a happy and safe 4th of July, everyone! Starting on July 31st, we will be spinning off a new music and entertainment-oriented monthly newsletter called The River of Rock, which will coincide with the launch of a brand new information and commerce website. Music and entertainment is a large part of our cliental at 33 Dimensions, as we currently own, operate, or support several websites. The newsletter will have two editions each month, an international version (Classic Rock Review, Modern Rock Review, etc.) and a local Central PA version (Keystone Rock Review, Cygnus Wave records, etc.). In keeping with our solid tradition of only naming dogs after Steely Dan songs from 1977, I’d like to introduce “Aja”, whom we adopted from the Harrisburg Humane Society this past Tuesday. 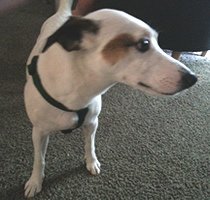 Aja arrives following the 13-year reign of “Josie”, who entered Dog Heaven this past March. As the unofficial start of the summer, Memorial Day is naturally a time of optimism and plan-making and is normally thought of as a day of family gatherings and cookouts. But the true intent of the day is one of solemn reflection and remembrance. On behalf of 33 Dimensions web design, have a happy, safe, and rewarding Memorial Day 2014, and let’s never forget the heroes of days and years passed. 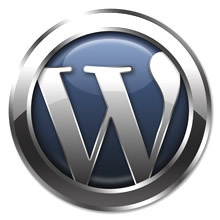 Ric Albano will be giving a presentation on WordPress Basic Tips & Functions on Wednesday, June 11th in Camp Hill, PA. This will be presented to the Entrepreneur Development Group, which provides entrepreneurs and business owners the opportunity to share and implement ideas and strategies for success, and will give a good overview of various WordPress elements from a layman’s perspective. The presentation is open to business owners. 33 Dimensions is proud to be providing web design services for Harrisburg, PA’s first Euro-style gelato café. Amore Artisan Gelato & Yogurt will be opening this summer and offering a dozen varieties of gelato and sorbet each day, drawn from more than 100 rotating flavors, along with 18 combinations of frozen yogurt. All of the gelato, sorbet, and yogurt will be made fresh on the premises daily and catering and party trays will also be available. At 33 Dimensions, our goal is to provide custom website solutions and online experiences for our customers which best conform to each client’s specific business model. We encourage our clients to establish and maintain complete and total ownership of all their content, including logos, branding, copy, and media. It is also important to us to provide the most efficient methods and technologies and we do not attempt to over-sell or over-promise. We guarantee the best price to value ratio for any comparable service. Being that technology is constantly changing, we recognize that client needs may quickly change, so there is no long term contract required to get the best possible price for our services. There is no more perfect gift this holiday season than giving someone their own piece of “online real estate” to serve their business, hobby, or charitable causes. Call us at (717) 829-4221 or email ric@33dimensions.com to get a great deal in time for the holidays! 1. There is absolutely no such thing as a “free” website! 2. A website should not cost over $600 million!